First up was Tandem, who has declares that they are “on a mission to free you of money misery.” Intrigued? Kosut did some digging to find out more. The Tandem app allows you to manage all of your bank accounts within a single app, letting users do what they would normally but ideally, more efficiently. 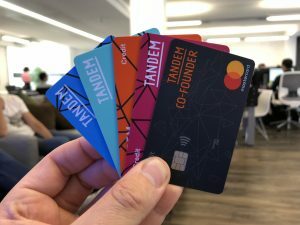 Tandem does this by accessing their customers’ bank history transactions and applying machine learning to that data to spot patterns that individuals may not otherwise spot themselves, or even be fully aware of. For example, CTO Paul Clark explains, the app may register that every Friday, a user spends money on ordering takeout food for dinner. The app can not only point this out to the user but also demonstrates that saving this money could allow one to save towards a vacation. Flux is putting your receipts directly into your mobile banking app, ultimately eliminating the need to save paper receipts and storing all of this information in one place for you. This consolidation of records also allows users to receive cash back and other rewards instantly. Say, for example, a user earns a free coffee from their local coffee shop after buying a third coffee that month. Flux is able to alert you instantly when the user buys their third coffee, rather than the user looking through a loyalty card or old receipts. In order to maintain reliability and scale, Flux has utilized Amazon SQS, which alleviates the need to worry about scaling. CEO of Lifebit, Maria Chatzou, explains that the company’s mission is to fully automate the analysis of genomics data. One of the big challenges that Lifebit is tackling is how you can run and deploy all of the complex analyses over cloud. The platform allows you to run your analyses while saving you a massive 80% of the cost. As you run more of these using the platform, it begins to learn the best and most effective resources to utilize, so over time your deployment begins to be much less expensive. Chatzou explains that the platform uses Spot instances, which inherently makes things cheaper. Users are able to view their AWS account and their platform account side by side so that they’re literally able to see results popping up in real time. 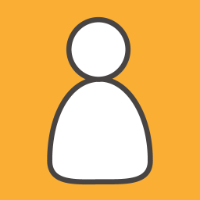 While at the AWS London Summit, Kosut caught up with Dave Marsland, Engineering Manager at Paddle, which aims to make selling software as simple as possible by integrating everything you need to sell software in a single, unified dashboard. This removes a lot of the heavy lifting for individuals and companies looking to sell software and Paddle has the ability to scale and grow with you. Marsland explains that as they’ve grown, they’ve utilized several AWS services, such as EC2, ECS and ECR for containers, and S3. ECS is “the simplest way of getting going” and Fargate takes away the need for the team to manage services, which has an “unlimited value” in doing that. Not only does Paddle simplify and unify the selling process, it provides users with the opportunity to grow, scale, and optimize their business. Curve is a fintech startup that provides users with a platform to consolidate all of your bank cards into a single smart card and app, ultimately making it massively easier to manage and track your spending. 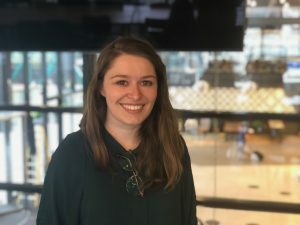 Their CTO says they “aim to be the single place to spend, send, share, and save all of your money” during a time in which innovation in the fintech space is causing the number of apps and products necessary to manage your money to be constantly expanding. Paddle aims to aggregate all of those things into one single avenue to spend and save. The team explains that they are using several AWS products and services, one of them being Snowplow, for their mobile analytics. Instead of having to send all of their tracking data to a third party, they’re able to process the data in the back-end and send the third party only the data they want to send. Paddle is also using Kinesis, Elasticsearch, Redshift to store data, and EMR. “The Sociable Network”, Wistla, is the easiest way to get your crowd and friends together. The app is a shared space to stay connected and get your group together more efficiently, eliminating the need for texts, invites, emails, and other forms of communication. Paul Schulz, CTO of Wistla, describes Wistla as seeking the way to change people use social networking, allowing individuals to seamlessly find out about events that are going on nearby. Schulz says that the autoscaling of the services and the facilities on the cloud allow them to deal with problems more efficiently and effectively. The team utilizes Kubernetes, EKS, and Microservices from AWS. They also use Cloudfront in order to distribute the media out mobilely, which provides them with lower latency times.